Welcome back commander. Electronic Arts seemingly unstoppable Command and Conquer franchise spawned yet another sequel in 1999. Boasting a revised game engine, new unit types and variable terrain, the game went on to become a smash hit. Like Red Alert, Tiberian Sun has also been released into the public domain, meaning anyone can freely and legally download a copy. No need to track down an old CD-ROM this time! Several sites now offer Tiberian Sun as a free download, though the original mirror at EA.com seems to be down at the moment. You can still obtain the game here. The installer provided at that link will allow you to install the entire game, along with several important patches and updates that allow for a smoother experience on modern PCs. The download version also includes the “Firestorm” game expansion. Of course, if you have an original CD version of the game already, or a copy from a compilation such as the “First Decade” boxed set, you can use that too. However, Command and Conquer – Tiberian Sun uses an antiquated form of copy protection (Safedisc) that is no longer compatible with Windows 10. Furthermore, since the software that facilitated this copy protection caused security vulnerabilities, Microsoft have since patched it out in Windows 7 and 8 too. In Windows 7 or 8, you can try temporarily re-enabling the secdrv service or uninstalling Windows update number 3086255, but given that this game has been released for free with the copy protection removed, please use the download link given above to download and install the game and keep your original CD as a collectors item. If you followed our advice and downloaded Tiberian Sun from CNCNET.org, then you shouldn’t have to apply any additional patches or fixes to play the game. 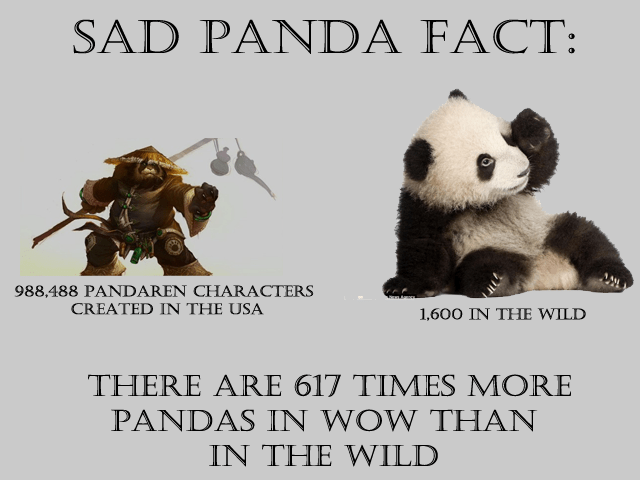 There is one possible exception to this. If you find you have difficulty selecting a suitable screen resolution, for example if you choose 720p but the game appears in 1280×1024 instead, see “Screen is distorted or won’t appear at the correct resolution” under the troubleshooting section for details of how to fix this problem. If you are attempting to play a copy of the game on original CD, you should first install the latest official patch, 2.03. You can download that patch here. If you downloaded the game from the link we gave above, or if you have the “First Decade” or “Ultimate Collection” then your version of the game is already pre-patched and you do not need to download this patch. Users of the “First Decade” boxed set should download and install the Unofficial first decade patch. This fixes several issues with all the games in this boxed set. The file is downloaded as a zip file. Simply double click to open it then run the executable file inside. The installer will tell you to temporarily disable UAC, but we encountered no issues when we left it enabled. Finally, users on Windows 8 and Windows 10 require another special fix. Without this fix, the main menu options in the game will not work and you will be unable to start a game. These fixes are NOT usually required if you downloaded the game from the link we gave you above. You have two options to fix this problem. If you have a Direct11 compatible graphics card, you can use the excellent dgVoodoo2 tool. Tiberian Sun is a DirectX game, so use dgVoodoo2 in DirectX mode. 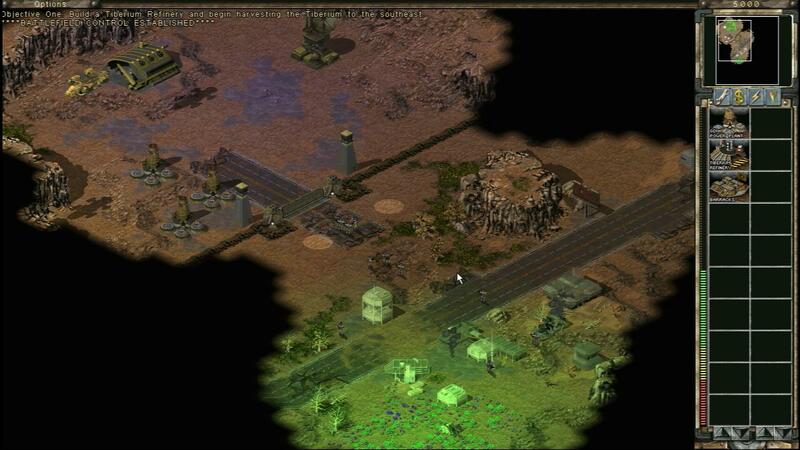 Using dgVoodoo2 also makes Tiberian Sun compatible with several neat in-game tools, such as Nvidia Shadowplay. If your PCs is a little older and can’t run dgVoodoo2, you should download the special Windows 8 fix here. Without this fix, the main menu options in the game will not work and you will be unable to start a game. All Windows 8 and Windows 10 users should install either this patch or dgVoodoo2, irrespective of what version of the game was installed. This patch does not come with an installer. To install it, copy all the files from the downloaded zip file into the Tiberian Sun program directory. Other guides on the internet will tell you to run the game in Windows 98 compatibility mode and/or to run the game as administrator. In testing we did not find either of these options to be necessary, as long as the games folder had read/write permissions set (see “Problems saving games and configuration files” near the end of this guide). Tiberian Sun featured a whole new game engine and supports both standard and widescreen resolutions. Screen resolution options can be set in game, by starting the game and selecting “Options” and then “Display”. However, on our Windows 8 test machine, this caused the game to freeze. If you cannot access this option, or you cannot select your desired screen-mode, don’t worry. In the games installation directory there is a file called “SUN.ini”. The game saves its preferences in this file, however the file is only updated after setting a preference for the first time. If you find that your Sun.ini file is empty, or you can’t find the sections we talk about editing in the following few paragraphs, then download our pre-made sun.ini file here. Simply unzip this file into your Tiberian Sun directory, then edit as necessary. Using either your own Sun.ini file or the downloaded one, open the file with Notepad (if you’re not sure how to do this, there is a tutorial available here). Search for a section called “[Video]”. If you find it, simply change the values next to ScreenWidth and ScreenHeight to your desired resolution. For 720p use “ScreenWidth=1280” and “ScreenHeight=720”. For 1080p, use “ScreenWidth=1920” and “ScreenHeight=1080”. A word of warning before you do this. Although the games engine seems to cope with these high resolutions remarkably well, your eyes might not. Clearly the games assets were never designed to be viewed at such high resolutions. You may find it difficult to see your digital soldiers when running the game at 1080p. If this is the case, consider using 720p instead. Even at 720p things are pretty small and users playing the game on a television rather than on a monitor at their desks may want to reduce the screen resolution even further. Finally, before we leave the ini file, make sure that “DetailLevel” under “[Options]” is set to “2”. Save the file and exit Notepad. If you have difficulty saving the file, you may not have write access to the games installation folder. See the troubleshooting section at the end of this guide (under “problems saving games and configuration files”) for more information. With patches installed and options set, you’re ready to start commanding and conquering. Start the game as normal and you should now be able to play. You may wish to check that saving and loading games works correctly before getting too far into the campaign. Tiberian Sun can be played multiplayer both over a home network (LAN) or the internet. Before you can play a network game of any kind, you will need the appropriate patch. If you downloaded the game from the link above, this patch should be installed already. If you have the First Decade boxed set, this patch should have been installed when you installed the Unofficial first decade patch. Finally, if you have a CD copy of the game, you can manually download the patch here. Simply extract the contents of the zip file into your Tiberian Sun game directory. You are now set to play games on your home network! As Tiberian Sun is an old game, it will run smoothly even on more modest PCs. Setting up a network game is a great way to keep bored teenagers occupied on a rainy afternoon, for instance. If you are interested in playing on the internet, you should check out the CnCnet tool, a fan-created tool that facilitates online play in these old games. It’s entirely free to download and use. Full instructions are provided on the site for installing and playing. Even after all these years, the original Command and Conquer games remain popular and there are usually opponents online for you to play against. Be warned if you are new to the game however, the typical player you will meet will be very skilled! Cannot select menu items:- This occurs if you run the game on Windows 8 or Windows 10 and did not install the special Windows 8 fix patch or dgVoodoo2. This problem should not occur if you downloaded the game from CNCNET.org. Game freezes on startup or fails to load title screen:- If you are using the popular Windows skinning utility Windowblinds, you must add the “SUN.exe” and “GAME.exe” files from the Tiberian Sun program folder to the list of applications excluded from skinning. Game scrolls or runs too quickly:- If you can’t navigate around the battlefield, press escape during game play then select “Options” from the menu. You can reduce the scroll speed and overall game speed on the menu that then appears. Press Enter to confirm your changes. “One or more DLL’s missing” error message:- This error occurs due to the outdated copy protection. There are several workarounds. Usually, running the game as administrator will solve the problem. Alternatively, download the pre-patched version of the game from the link given at the beginning of this article. For those using the First Decade boxed set, downloading and installing the Unofficial first decade patch should solve the problem. Windows 10 users should always use the download version with the copy protection completely removed. Problems saving games and configuration files:- Like many old games, Tiberian Sun saves configuration files and save games to the same directory as it is installed to. That means that if you install the game to your program files directory, you may have trouble saving your progress. Either install the game to a different directory (e.g C:\Games) or configure the permissions on the games installation folder to give you read/write access. A tutorial on how to do this can be found here. The games actual save game files are placed in the root of the games folder and are called “SAVEXXXX”.SAV”. You can back these up and move them to a new installation if desired. Screen is distorted or won’t appear at the correct resolution:- This seems to be a bug in the patched version of the game available for download at CNCNET.org. On our PC, the game would run in 1080p just fine, but 720p always resulted in the game switching to 1280×960 or another inappropriate resolution. To solve the problem, you can simply switch to dgVoodoo2. To do this, first browse to the games installation folder (C:\WESTWOOD\SUN by default). Now find the file called “ddraw.dll” in the games folder, and rename it to “ddraw.old”. Now, install dgVoodoo2 as per the instructions here (remember, Tiberian Sun is a DirectX game). Start the game and you should now find it runs in your desired screen resolution. The picture here shows the game running in 720p resolution. As you can see, things get pretty small, though eagle eyed commanders will gain an advantage by having such a wide view of the battlefield. Click on the picture to see it full size. I instaled the game on c/games but saving still doesn’t work any other solution? What happens when you try to save exactly? I have a 64bit Windows 8.1 laptop, brand new. Have downloaded the link from the above “You can still obtain the game here” and installed. Have downloaded and unzipped the “Windows 8 fix” to the TS directory. TS will startup, load new mission and then lockup the computer. Any ideas. Have you installed the latest DirectX end-user runtimes? That’s a copy protection error and should not happen with the free version. Try running it as an administrator. Shouldn’t happen with the CNC-net download version, you’re best off signing up for their forum and asking there. This game has been legally released for free, you don’t need your original CD. You may simply need to change the scaling options on your tablet. Look in the graphics card control panel. On Nvidia cards its under Display -> Adjust Desktop Size and Position in the Nvidia control panel. The game itself runs pretty much the same, sometimes the menus don’t appear right and you have to close them and reopen them. Not tried it online. I have a Windows 8.1 laptop, downloaded Tiberian Sun and added the “Windows 8 Fix” to the directory. When I try to save the game it freezes my computer and wont continue playing. Any ideas? Probably the confirmation dialogue is appearing but is invisible. Try clicking near the middle of the screen. I have windows 8.1 and I downloaded/placed the fix and it still freezes at the game menu. Make sure you copied the fix to the correct folder. No idea then sorry, never known it to fail. Are you sure you copied all three files from the zip file, you didn’t just put the zip file into the SUN folder? Hey. Try going to the compatibility properties of both SUN.exe and game.exe and changing them to 16-bit colour (reduced colour mode). This was used to resolve difficulties in RA2/YR so I tried it with this and it worked for me. That’s on Windows 7 I assume? Nah, it’ll work with 8 too. I’m on 8 and it fixed the freezing for me, though I couldn’t tell you what the root cause of the problem is. Hello, I have Windows 8.1 and have been trying to play my old favorite Tiberian Sun for several days and have been troubleshooting each issue (using your instructions) as they come up but I have hit a wall. I am able to play the game now and it runs great but as soon as I save it the screen locks, the mouse is still moveable, when I cntrl alt del to home screen I am able to get back to windows home but unable to change the screen resolution back, also my background is black with only task bar showing, when I try to click on task manager to end the Tiberian Sun program or close it, it won’t let me so I am forced to pull the power and remove the battery. Frustrated so I’m hoping there’s an idea that could help me, thanks. Good heavens, you don’t need to remove your battery, just hold the power button down until the PC shuts off. As for the save problem, have you tried clicking near where the menu should be, it may just be invisible and will appear again if you manage to click a button on it. Only reason I had to remove battery was I have my power button setting set to hibernate and not shut down, didn’t know I could hold it down and make it shut down though. I followed your advice and found the menu by clicking in the center of the screen, feel kind of dumb considering I followed all the other institutions on here and missed something so small lol. Thanks for the help! Glad you solved it. You’re not the first person to miss the holding down the power button trick either so don’t worry. If you find that old games are making it so that you have to hard reset/power off because you can’t end task them, try making another user account. Make sure the account is an admin. When a game goes wrong, you can switch to the other account (through the control alt del menu), launch task manager, end the offending task then go back to your regular account. Actually for best security I always advocate running as standard user and just using your admin account when you need to install stuff or make changes (via UAC). Great idea on creating the other account, I’ll do that now. It’s great to have this game working again, played it religiously as a kid and been dying to play it again. My last resort was to find an old Windows XP laptop and play it on that but now I don’t have to. Thanks again for the walk through on your site and for your help! but it doesn´t change much, any ideas? I am experiencing the same issue as well. The Sun.ini file always changed back the game speed to 0 despite I changed it to 4 as suggested by your pre-made Sun.ini file. I am currently using Windows 8.1, made changes to the compatibility to run with Windows XP (Service Pack 2), Reduced color mode to 16-bit (65536) colour, and disabled display scaling on high DPI settings. I’ve been banging my head against the keyboard for ages trying to solve the Missing DLL issue for TS through C&C TFD! Patching the actual TFD should fix it! i have the original game (normal version) and i can’t seem to get the menu right.The game will start perfectly but as soon as i enter the main menu and press load, the little window won’t show. It’s there because it still reacts to mouse presses but it just won’t show. I’m not new to this so i’ve already tried the newest update and the good old compability/admin trick, but this does not help. I’ve also tried looking around for a solution but they’re all kinda sketchy and unhelpful( i might just be looking in the wrong direction). The menu thing is definitely inconvenient, if anyone does find a proper fix rather than the “click where you think it should be” workaround please do let us all know. Drivers and DirectX all up to date? I’m having the same problems as everyone else with windows 8 and I’ve been trying everything to fix TS but ive found nothing really. I’ve reduced color to 16-bit, Ts fix, changed compatibility packs, and added “Videobackbuffer=no” to my SUN.INI with no luck. Any info would be useful if you can provide some, thanks! I have windows 8.1 downloaded the game beta . and the patch . yet the game plays fine but I cant change any of the sliders like difficulty mouse speed etc . I also run a check on it and troubleshooter says the launcher is incompatible . something im mssing ? I just upgraded to Windows 10. 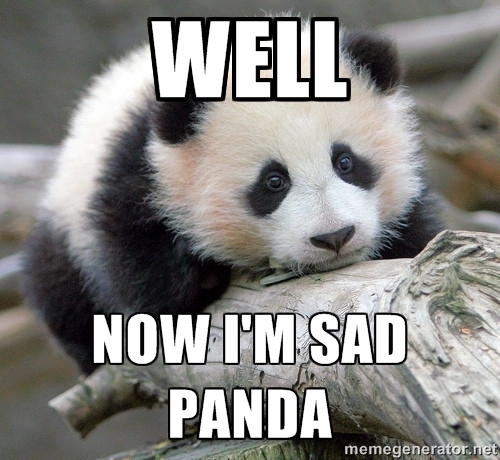 Now I can’t get any of the Command and Conquer games to work. They all seem to load and run, but the screen is blank. I hear the sounds and the music, and if I click where I know the menu items should be, I hear the menus react, but the screen is solid black. I have tried all of the different versions of windows in compatibility mode, to no avail. They all result in the same issue, the screen is black. I have also used all the different video resolution settings, with the same results. Has anyone found a way to make C&C work in Windows 10? For Tiberian Sun, use either the special Windows 8 fix or dgVoodoo2 if you have a DirectX11 compatible graphics card. Just tried them both, they work great. For Generals, no fix should be needed. Haven’t tried the other games yet. Hello I followed all the steps word for word but whenever I try to run the game my cursor gives me the loading signal then goes back to normal but yet absolutely nothing happens. Extremely frustrating and cannot figure out why. Could be copy protection related. Try downloading the game from the free download link instead. I’m running through BootCamp Windows 7 on a MacBook pro, any fixes to this for me? I have the ultimate collection through Origin, when I first tried to run the exe it said something along the lines of “DLL Missing.” But I looked here and you said for Windows 8. I’m on 7. Help please. Just download the free copy, that should bypass the copy protection issues.